Contrary to popular opinion, having a beard is hard work. 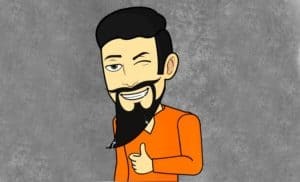 Not only do you need to constantly keep it washed and trimmed for it to look its best, real men also understand the importance of beard conditioning as well. 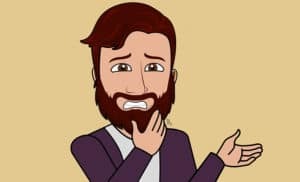 We all know how thick and coarse beard hair can be, but one thing many men don’t know is that it actually doesn’t have to be that way. All it takes to turn that coarse, unruly beard into something even the most stylish man could be proud of is a little TLC (no, not that TLC)—and this is where the best beard oils come in. 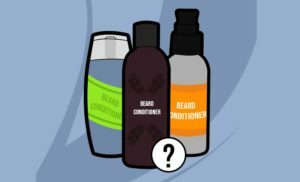 When it comes to conditioning your beard, you’ve only got a few real choices. 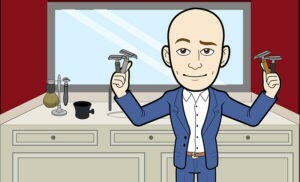 While some men simply apply a bit of the same conditioner they use on their heads, this really isn’t the best option. 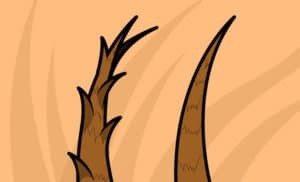 As you’re definitely already aware, the hairs on your head are nothing like those that grow on your face. 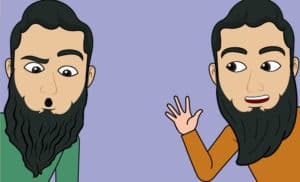 While that cheap bottle of conditioner may be sufficient for your head, it will do nothing to help your facial hair, and therefore you need to choose something that has been specially formulated to give those facial follicles the help they need to stay looking their best—which means using a high quality beard balm or beard oil. 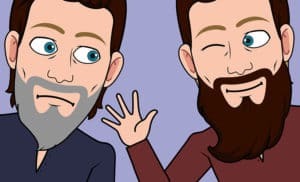 Personally, I prefer beard balm as I find that it is a bit easier to handle, not as messy and won’t leave your beard looking greasy (best beard balms). That being said, a high quality beard oil is still one of the best ways to condition your beard and the skin underneath it, so it’s really a matter of personal preference. Not only that, but if you’re careful about your choice and avoid using a cheap, inferior quality beard oil, you shouldn’t have any problems with a greasy beard. 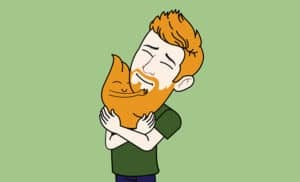 This is because many of the higher quality beard oils on the market use natural oils that are easily absorbed into the skin and hair, and thus dry out quite quickly after you apply them to your beard. 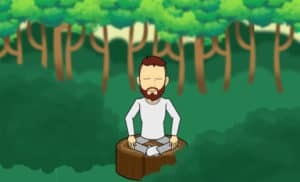 The main difference between the two is that beard balms contain a natural butter (usually shea butter, but there are a ton of other natural butters that can be used) and a small amount of wax, which makes them thicker and allows them to provide a bit of hold to help keep those wild or unruly hairs under control. On the other hand, beard oils generally only contain a mixture of carrier oils (think olive, almond, coconut, jojoba, etc.) and essential oils. If your beard sometimes seems to have a mind of its own, I’d definitely recommend a beard balm. However, if this isn’t much of a problem for you, you may be better off just choosing a high quality beard oil. Softens and conditions your beard to keep it looking and feeling healthy. Helps moisturize the skin underneath the beard, helping to prevent dry skin, irritation and beard dandruff. 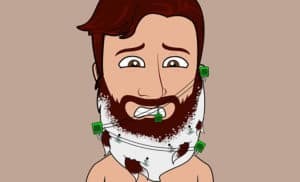 Can lessen or eliminate the itching associated with growing a new beard. 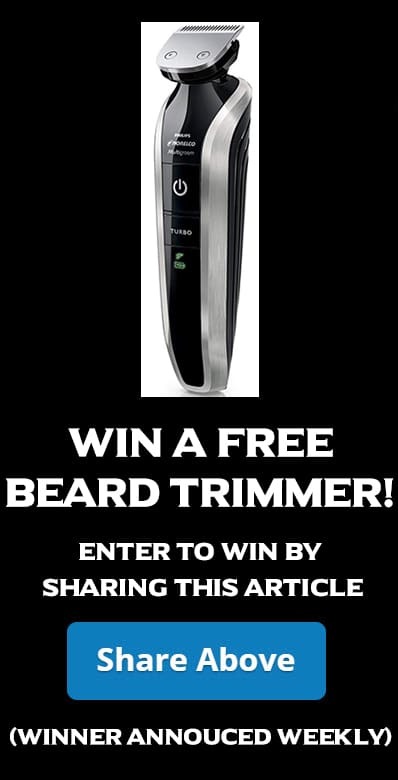 Can encourage and promote new beard growth (perfect for those with patchy or uneven beards). Many contain a pleasant, manly scent that the ladies love. 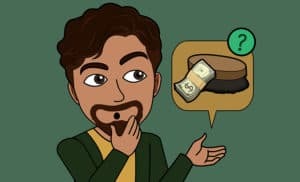 There are hundreds, if not thousands of beard oils on the market, so the question becomes how to tell which ones are worth it and which are simply a waste of cash. 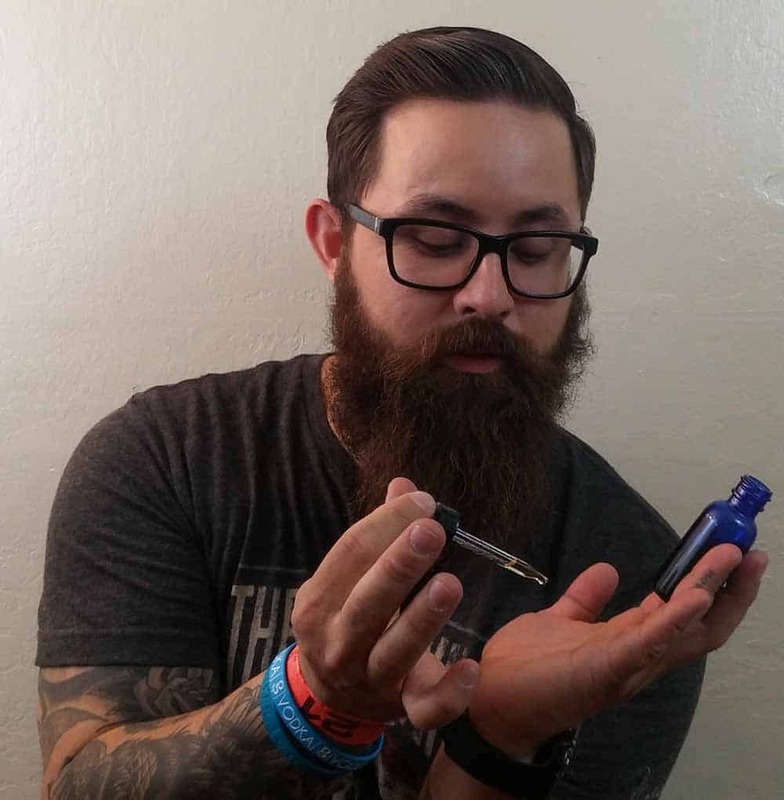 In truth, deciding which is the absolute best beard oil is a matter of personal choice. That being said, if we had to give one invaluable piece of advice it is this— just like for any grooming product that you apply to your skin and/or hair including body lotion, deodorant, shaving creams or aftershave, always look for a product that contains all natural ingredients. 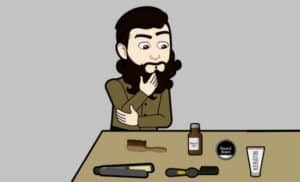 Many beard oils contain harsh chemicals that can dry out your skin and facial hair, meaning they are likely to do the exact opposite of what you bought them for. 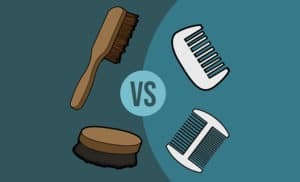 Therefore, like with all other male grooming products, you would be best off staying away from the chemicals and instead only using products that contain all natural oils. One of our favorite beard grooming brands, Badger has really outdone itself with its Navigator Class Beard Conditioning Oil. Like the Leven Rose Beard Oil, this one only contains all natural ingredients, such as jojoba and babassu oils, which help to condition and protect your beard. Better still, the Navigator Class Beard Oil contains all-natural pomegranate oil, which adds some much needed antioxidants to further nourish your facial hair and skin. 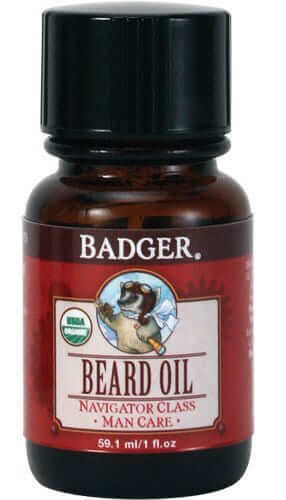 This helps to prevent damage and encourages healthy, happy beard growth. Another thing we really like about this one is that it uses a small amount of bergamot essential oil to provide a nice, manly fragrance to what is already an all-around outstanding product. In addition to the pleasant scent, another benefit of using bergamot oil is that it is non-photosensitizing, meaning it won’t make your skin more sensitive to the sun unlike so many other essential oils. So, if you’re looking for an excellent beard oil with a manly smell, you could definitely do a heck of a lot worse than this one. 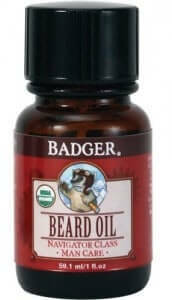 Badger also made our list of best pre shave oils and our upcoming article on the best chapstick for men. The number one best-selling beard oil on Amazon, and for good reason! This incredible beard oil from Leven Rose really is the top of its class. That being said, there’s really not much to separate this product from all of the others on our list of the best beard oils. Still, we figured we had to include it towards the top due to its immense popularity amongst bearded men everywhere. Made from 100% all-natural, organic ingredients, Leven Rose Beard Oil is guaranteed to leave your skin and your beard looking and feeling silky smooth and healthier than ever. Unlike those products that contain chemicals or fillers, this one only has two ingredients—organic jojoba oil and organic argan oil. We especially like that this product includes argan oil, as this is one of the best oils for softening and conditioning hair. It is also known to help promote hair growth, making it one of the best things you can ever use on your beard. 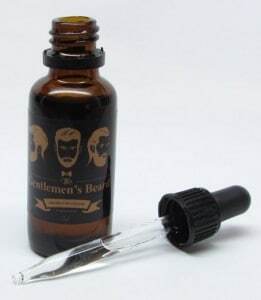 We also like the fact that this product is unscented, which makes it perfect for any man who wears cologne and is worried about the scent of their beard oil interfering with their carefully crafted, manly fragrance. 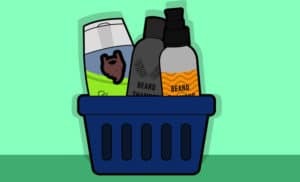 Still, if you’d like a beard oil with a slight fragrance, you may want to look at the other products on our list, as the rest of them are all scented. All in all, this is easily, without a doubt one of the absolute best beard oils we’ve ever come across, and after giving it a try, we’re sure you’ll agree. 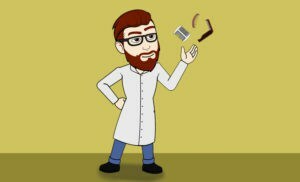 Also be sure to check out LevenRose.com for more information and to learn about their other great beard products. The Manskape Company produces the Wild Willie’s line of beard grooming products, which have quickly become one of our favorites even though we’ve only recently discovered them. Wild Willie’s products have also made our lists for best mustache waxes and the best beard balms. Another one of the best-selling products on Amazon, we’re wild about both Wild Willie’s Beard Elixir and Beard Butter (which we included in our list of the best beard balms). Wild Willie’s Beard Elixir is a mixture of ten different carrier oils, essential oils and vitamins, which has been specially formulated to provide the utmost in beard care. Each of the various ingredients was chosen for the particular healing and nourishing qualities it provides, such as apricot oil, which promotes hair growth, moisturizes and even helps to fight against wrinkles and certain skin disorders. It also contains castor oil to help prevent split ends, and jojoba oil, which helps strengthen your beard and make it shine. Like Leven Rose, this one also contains nourishing argan oil, while the addition of cedarwood essential oil provides a manly, woody scent that is balanced by the pleasing smell of rosemary essential oil (which also helps to stimulate the hair follicles and promote new growth). One special thing that Wild Willie’s Beard Elixir has over its competitors is that it is probably the only beard oil on the market that is suitable for use by people with nut allergies. This is because it is the only certified “nut free” beard oil we’ve come across. While most others contain almond or some other nut oil, this one doesn’t, meaning those of you who risk dying if you come into contact with nuts can breathe a sigh of relief and can finally give your beard the attention it needs without having to risk your life. 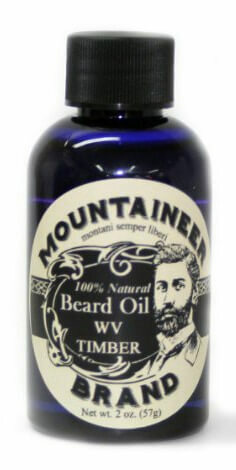 Mountaineer Brand Natural Beard Oil is handmade in West Virginia. Like other things from West Virginia, this is probably the most rugged, manly product on our list due to the refreshing piney, woody fragrance. Similar to all of the other best beard oils, this one contains only all-natural and organic ingredients that are specially chosen for their beneficial properties. The castor, grapeseed and almond oils provide all the nourishing and conditioning your beard could need. Plus, thanks to the addition of cedar and fir essential oils, this really does smell like you just stepped out of the forest, which is sure to drive women wild and make you feel like a REAL man. 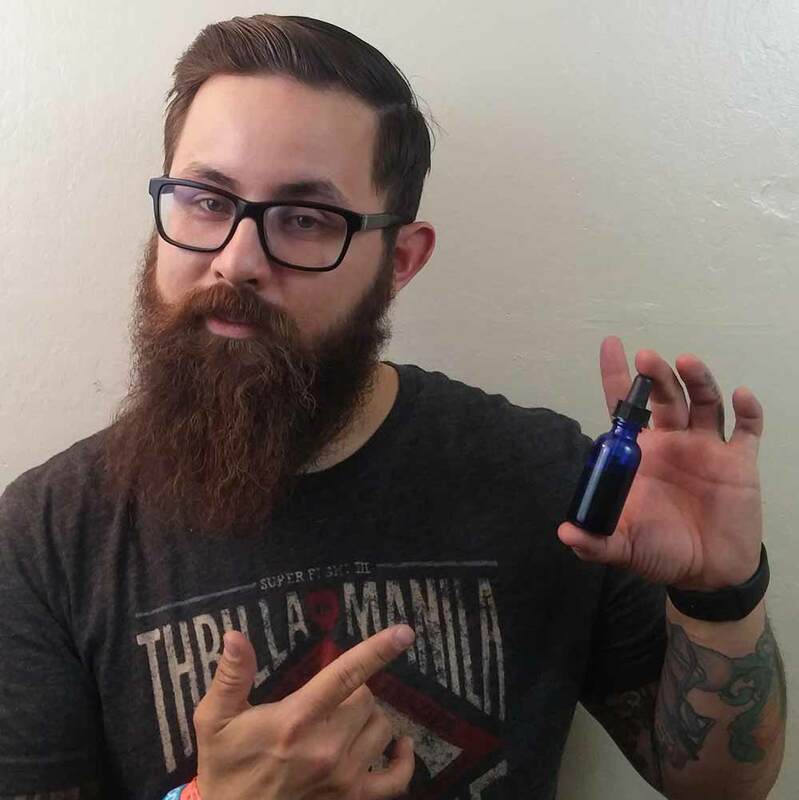 Advertising itself as the “only all natural beard conditioning oil on the market,” we find this beard oil from Natural Man to be far superior to many others on the market. Although their claim to be the only all natural oil available is obviously false (the others on our list can also live up to this claim), this doesn’t take away from what is definitely an outstanding product. In terms of carrier oils, Natural Man is a blend of jojoba and sesame oil, both of which are excellent moisturizers. In addition, the sesame oil has beneficial antibacterial and anti-inflammatory properties, and also helps to provide relief to dry or irritated skin. We also really like this one’s refreshing fragrance, which is a blend of West Indian Bay, organic lime and sandalwood. All three of these essential oils were chosen not just for the pleasing fragrance they lend to the product, but also for the benefits they provide to skin and hair. The lime essential oil helps unclog pores and works to strip away dirt and grime from skin and hair, while the West Indian Bay helps to fight against both oily and dry skin, working to get rid of beard dandruff almost instantly. 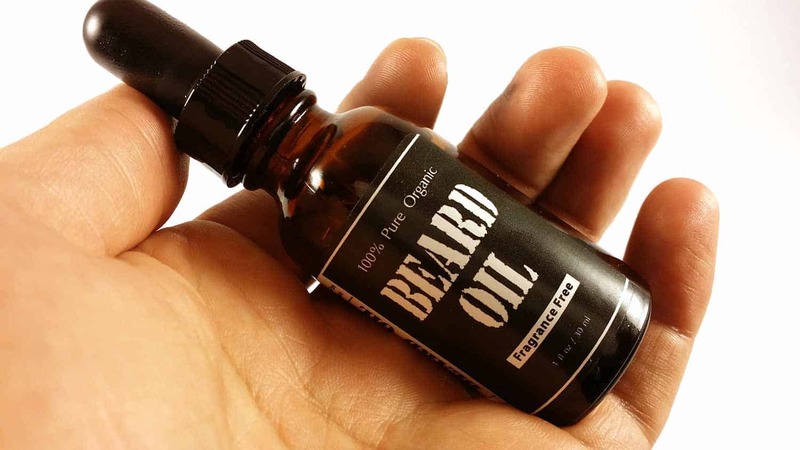 Finally, this also happens to be one of the least inexpensive beard oils on the market, as you’ll get two times the amount of product for the same price as others. And last, but surely not least, The Gentleman’s Beard. Feel like a true gentleman with this amazing beard oil, which again contains only all-natural and organic ingredients to provide the nourishing and conditioning your beard needs. Like the Leven Rose beard oil, this one is fragrance free so you can wear it with confidence and not have to worry about it interfering with any other scent you wear. What we really like about this one is that it includes evening primrose oil. A primary component in many of the best, most expensive ladies’ cosmetics, this not only helps to keep your skin and beard healthy and happy, but also helps to reduce itching and prevent dry skin/ beard dandruff. Although it costs a few dollars more than most of the other products on our list, the quality of the product more than justifies the price and makes it more than deserving of being mentioned amongst the best beard oils on the market today.